Still in their unconscious, the Wabbit and Franco hopped by the lakeside to see if they could find the Water Witch. Then, as they rounded a corner by some strange trees, they saw two carrot aperitivi laid out neatly on a tree trunk. "Look," said the Wabbit, "we may be the only creatures ever to get refreshments in our psyche." "The Water Witch provides for her own, Sir" said Franco, "you being a seafaring type." The Wabbit nodded vigorously and glancing upwards, he could have sworn he saw a witch sailing through the air on a most delicious carrot. "Well, the sun appears to be over the yardarm," he said "and so we should drink a toast." "Who shall we toast?" asked Franco. "Ourselves," said the Wabbit. "Ourselves and all our adventures together." "Our adventures don't seem to stop, Sir!" said Franco. "They won't stop until we've reached our objectives, Franco," said the Wabbit. "That could be quite a while," mused Franco. "As long as it takes," said the Wabbit. Their heads bobbed in mutual agreement. "There's something very familiar about that Water Witch," said Franco suddenly. "I know," said the Wabbit, "it's almost as if our psyches are making it up as we go along." "That's gonzo for you," Sir," said Franco. 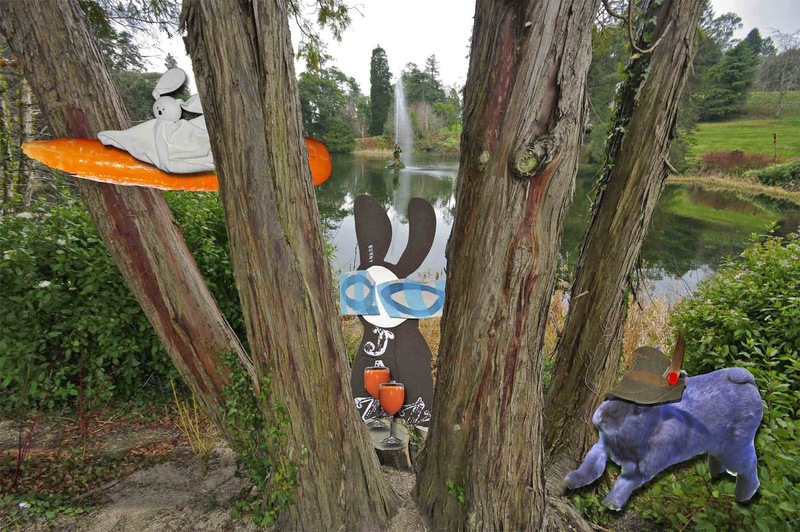 "It's a stream of unconsciousness," laughed the Wabbit.